We finally made it to Haiti and enjoyed our first day here!! 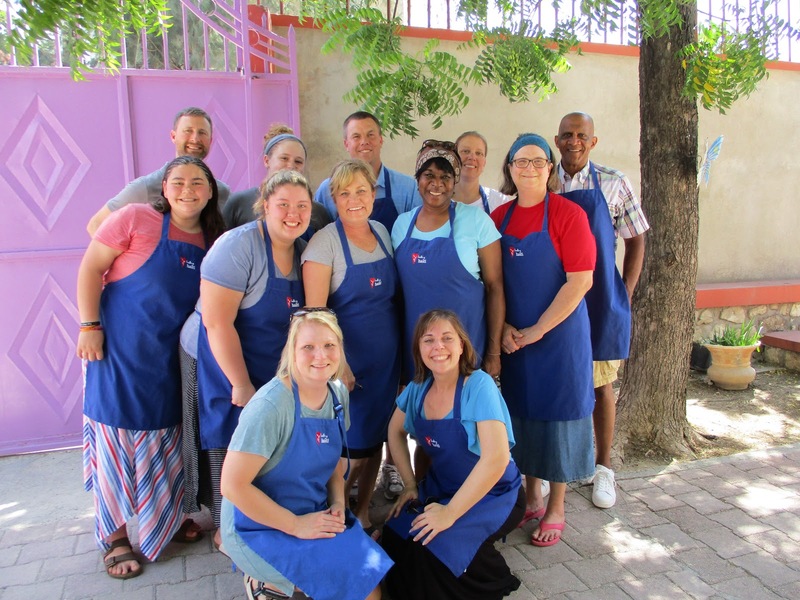 We have had an eventful 2 days traveling First, our bags got checked at the gate and sent all the way to Haiti, but we had to spend the night in the hotel in Miami without them. So we all slept in and wore the same clothes for 2 days. Then Angela got a phone call in the airport from Abby and Cayley saying they had somehow managed to get themselves stuck back on the other side of security…without a passport. It was a tense few minutes…but it all worked out. 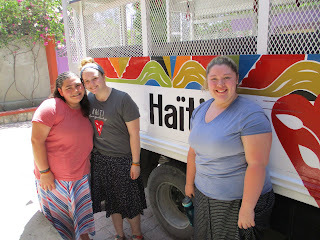 Once arriving in Haiti, we spent some time delayed in traffic and experienced 2 minor fender benders on the way home. But apparently that’s just another day in Haiti. After resting and settling in to our guesthouse, we spent the afternoon at The Home for Sick and Dying Babies. We fed babies, changed diapers, rocked and held babies, played with toddlers, and showed love any and every way we could. At our team time tonight we each gave a word to describe our day…Over-whelming, Hectic, Eye-Opening, Humbled, Relieved, Grateful, Love, Inspiring, Different, Open, Insufficient, Complete. Today was a day of new things for all of us, a day of different experiences, a day of hard things and beautiful things. We learned that “Love is a fruit in season all the time”. Jesus tells us in John 13:35 that we will be known by how well we love. Tomorrow we will be spreading more love and water…Pray for a restful night and endurance as we carry water to the people of Cite Soleil tomorrow.